You don't have to sacrifice performance to build a quiet system. Most high-performance coolers use crude, outdated designs that rely on two techniques: put a huge hunk of metal in your case or crank the fan to obnoxiously loud noise levels. The Hydro Series coolers feature innovative, cutting-edge designs that utilize the superior thermal conductivity of liquid over air to provide fantastic cooling at much lower noise levels. In fact, the H60 is similar in noise levels to a 120mm case fan you probably already have. 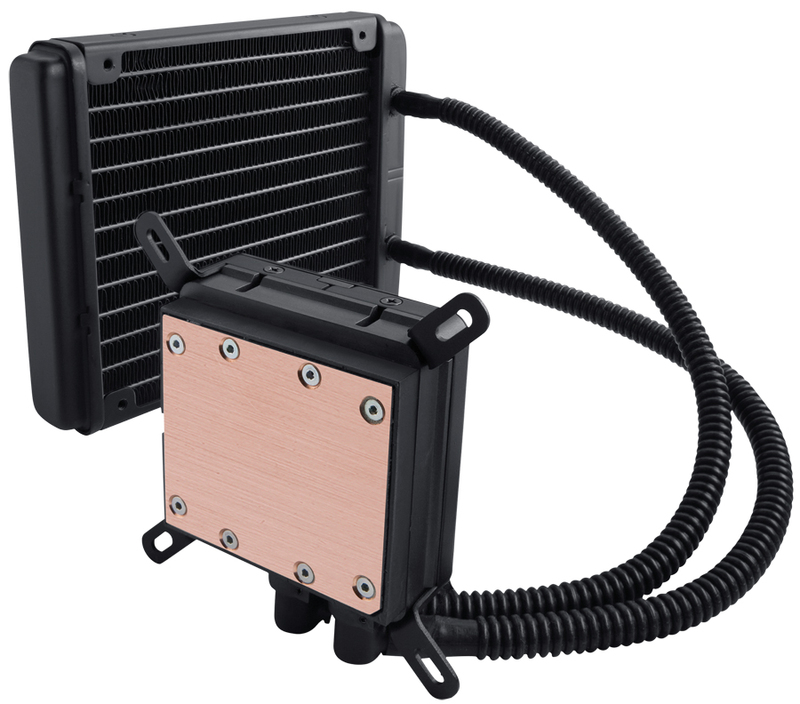 Almost any case with a rear 120mm fan mount location can house the Hydro Series H60 CPU cooler. And don't worry about compatibility with your CPU, we've got you covered. AMD® sockets AM2 and AM3 are covered, and without having to install a custom backplate, making the H60 a great choice for any modern AMD CPU up to the new Phenom six-core processors. And when it comes to Intel®, don't worry about it. Whether you've got Socket LGA775, LGA1155, LGA1156, or LGA1366, we've got compatibility inside the box. That's right, even the brand new Core i5 and Core i7 2x00 series processors are supported, right out of the box. With more than 15 years of building enthusiast-grade memory and components, we've earned a reputation for quality, compatibility, and performance. Need help? We're available by phone call, email, or web forum.